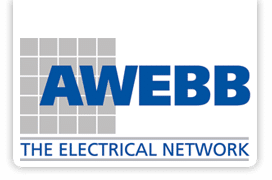 As electrical wholesalers, with over 30 years experience of supplying domestic, commercial and industrial electrical equipment behind us, we are dedicated to the best customer service there is out there. We provide an extensive range of electrical products nationwide and we won’t be beaten on price. We can offer you a free next day delivery service in the Wolverhampton area, or you can collect your order from one of our trade counters across the AWEBB network. All of our electrical stocks are priced very competitively. We carry a large stock holding in our Mander Street warehouse in Wolverhampton. We can also provide site visits for lighting, heating & distribution schemes. We can help and advise on whatever project you have in mind from garden lighting to a whole house rewire. If you own a commercial property we are more than happy to share our knowledge of electrical products. Our counter at Carvers Building Supplies is dedicated to helping the general public with their enquiries. If you run an electrical retail store then we can help you beat the big DIY brands. Our sales team are on hand should you have any questions about a particular product and they can guide you through your purchase. We have such a wealth of knowledge on our team that we are sure we can help you source those hard to find products or explore alternative solutions. Please contact us and we will help you out. Enquire about a product, place an order for a job on the other side of the country, open a trade account or ask our electrical supplies specialists a question today.